taken during a number of years. The beginning of a new year goes by largely unnoticed in the world of nature. Perhaps the most important day of the winter season occurred on December 22, when the days began to lengthen again and the apparent threat of a snowy decline into permanent darkness was broken by the winter solstice and the return of longer days. The change is noticed, though, in the world of birds and mammals who stay active throughout the winter in Cleveland Metroparks. The creeping increase in day length, or photoperiod, triggers a host of changes in nature including, later in the month, the first of the birds’ spring songs. mammals Although the pace of the rut has slackened, the breeding season for deer continues this month. Fawns conceived in January will still be born in late May, as these embryos will develop more quickly than those conceived in October. Watch for small flocks of northern cardinals to appear at your feeder. Their normally tightly controlled territories break down as food becomes scarce and they must range farther for food. mammals Bucks begin to drop their antlers this week. Every year in late winter male deer shed their antlers and grow them back in the spring. Some may hold one or both antlers as late as March, however. High-energy suet at feeders will attract downy, hairy, red-bellied and possibly pileated woodpeckers. birds The harshest time of winter has arrived! Please keep your bird feeders brimming full each day if you have begun a feeding program. The birds will appreciate your handouts at least through late March. Red-tailed hawks by day and screech owls by night forage over open fields as their small furry prey disappears beneath the snows of winter. Woe be to the tiny brown mouse that ventures out for “one last look” and is spotted against the white background of snow! Tree sparrows may be scratching about under your bird feeders this week. Watch for a sparrow-sized bird with a rusty cap and unstreaked breast with one central black spot. These birds come from northern Canada to winter in this area. Tufted titmice singing “Peter-Peter!” and the bright “Cheer-Cheer-Cheer!” of cardinals announce their recognition of lengthening days and the first hints of spring. Meadow voles and deer mice welcome the snowy white blanket as they stay safe in their snug tunnels beneath the snowpack until the coming of spring. mammals Deer are seen throughout most Cleveland Metroparks locations now that the trees are bare and the snow has fallen. Winter is a difficult time, when food is scarce and less preferred foods are taken. Many forests are showing “browse lines” from winter-hungry deer feeding on buds and stems of small woody plants. Where deer become too abundant and begin to destroy forests, control methods may become necessary. The winter world of a meadow mouse becomes limited by snow this month as the gradual accumulation begins to impede his search for food. Ever thrifty, the little mouse has stored away some grains for times like these. Unless the snow gets more than two feet deep, some plants will receive suitable sunlight and remain green, providing a winter salad for those creatures still active under the snowpack. Month’s end usually brings the first breath of spring with an annual thaw, but winter will return - usually with a vengeance - in a week or so. Chickadees begin to sing their spring songs in earnest this week as the hours of daylight, gradually increasing since late December, finally begin to be noticed. “Oka-reee!” Red-winged blackbirds begin to appear in large numbers about this time each year. Their annual reappearance marks one of the first and surest signs of spring. Goldfinches return to winter feeders in large flocks. Restock the thistle seed this week if you can! Spring migrating ducks such as buffleheads, goldeneyes and redheads begin to reappear at Cleveland Metroparks refuges. They are among the first of the waterfowl to follow spring northward as open water slowly becomes available. Great horned owls are already nesting in secret places high atop forest canopies. Imagine them incubating eggs in the winter’s cold and snow! the official beginning of spring. The first signs of spring bring the parade of skunks from their winter sleeping places. Most look quite trim after using much of their body fat reserve during their long winter sleep. mammals Breeding seasons for squirrels, raccoons and skunks begin as the temperature warms, the day length increases and the animals become more active. insects Mourning cloak butterflies, which overwinter as adults, may reappear on any warm day this month. Their velvety-brown wings tipped with yellow and small blue spots surprise the winter-weary hiker on Cleveland Metroparks trails. Song sparrows, resplendent in their new brown coats with streaked breasts and a central chocolate spot, begin to reappear at area bird feeders. Most will not begin to sing in earnest for another few weeks. Forlorn-looking red-winged blackbirds huddle on snow covered branches as the last of the month’s snowstorms catch them by surprise. Look for the red and yellow shoulder patches that distinguish them from all other blackbirds. mammals Meadow voles’ tunnels under the snow begin to appear as the warmer days “melt the roof off.” Their exposed meandering trails in the snow look like snake tracks, giving rise to the old fable of “snow snakes.” As temperatures rise above freezing, chipmunks may reappear in search of fresh food. Their underground storehouses of nuts and seeds may be running low! wildflowers Skunk cabbage, one of the first harbingers of spring, should be blooming in the wetter low lands of Brecksville, Hinckley and Rocky River reservations this week. trees If days become warm enough and nights stay cold, the maple sugaring season should be in full swing. Watch for acrobatic squirrels licking tasty sap that drips from the ends of broken branches. By month’s end, winter will have broken. Spring comes subtly upon the land, but each year the migrating geese and red-wings, emerging skunks and raccoons and the fluttering mourning cloak butterflies bet their very lives on the timing of the eternal cycle of the season. You and your family are forever a part of that magic cycle and can experience it every month in Cleveland Metroparks. Bluebirds may have returned to Hinckley Reservation by now if winter has not been too harsh and cold. Early migrating robins feed among the holly berries and crab apples throughout Cleveland Metroparks. Where have all the bucks gone? By early March, all but a few of the bucks in Cleveland Metroparks have lost their antlers. It becomes hard to tell male from female deer until the bucks begin to regrow their antlers in early May. The first of the migrating woodcocks may begin their spring mating flights in certain secret places this week. Watch the nature centers’ program listings and join a naturalist in April to view this spectacle! The buzzards are back! On March 15, legend has it that the buzzards (turkey vultures) return to Hinckley. Visit the famous “buzzard roost” on the first Sunday after March 15 and watch for the newly arrived migrants. mammals Female woodchucks have awakened to greet the males who awakened in February. Spring comes quickly and summer is only a few weeks away! The rapid changes of April give way to a slower and more stately procession of nature as May begins. Pungent skunk cabbage begins to bloom in low wet places in Cleveland Metroparks valleys. The hooded flower pokes its head up through ice to attract early spring insects. and abundant food and shelter. birds Great blue herons reappear as soon as open water makes fish available for them to eat. They first reappear along Cleveland Metroparks rivers, but quickly move to lakes and ponds as soon as the shore ice melts. The song sparrow, one of the first and most vocal of the spring sparrows, should have arrived by now. The male’s calls begin with three sharp notes, then blur into a melodious trill. wildflowers Colorful wildflowers at last! The dandelion-like blossoms of the coltsfoot may even poke their determined heads through the snow to bloom. They prefer recently disturbed soils as blooming places. Watch for them along road cuts and construction sites. The phoebe’s raspy “fee-bree” call reassures forest hikers that spring is truly here. Male goldfinches grow progressively more brilliant yellow each week. Set out fresh thistle seed for them! Golden-crowned kinglets return to Cleveland Metroparks on their way northward to Canada. Only half the size of chickadees, they flit continuously from branch to branch in search of food. amphibians Spring peepers “peep” and wood frogs “quack” as their spring mating cycle begins. Shallow temporary ponds in Big Creek, Brecksville, Mill Stream Run and North Chagrin reservations are home to these small frogs for only a few days each spring as mates are found and eggs are laid. ger. Spring is here. Celebrate in Cleveland Metroparks with wood frogs, woodcocks and woodchucks. birds If south winds prevail this week, a major bird migration should be underway. Look for Swainson’s and hermit thrushes, sandpipers and some of these warblers: yellow-throated, yellow-rumped, black-throated, green and (especially in North Chagrin Reservation) hooded warblers. White-throated sparrows, singing their plaintive “old Sam PeabodyPeabody-Peabody” calls continue to pour through Ohio on their way to Canada. Rufous-sided towhees return this week. Killdeer return to the Cleveland area in large numbers. If you approach a nest, watch the female perform the “broken wing” act to draw you away. Three-petaled, three-leafed white trilliums should be up but not quite yet blooming in most Cleveland Metroparks forests. beneath the ever-darkening forest canopy. Bird migration begins in earnest this month and the woods, meadows, lakes and shorelines of Cleveland Metroparks offer some of the finest bird watching available anywhere in Ohio. Spring beauty and hepatica begin to bloom throughout most of Cleveland Metroparks. Some years North Chagrin Reservation’s wildflowers bloom almost a week later due to the “lake effect.” Trout lily or “yellow adder’s tongue” begins to bloom in Cleveland Metroparks southern reservations. Watch for them a week or so later in Rocky River, Mill Stream Run and Garfield Park reservations. Marsh marigolds add their yellow beauty to low wet places this week. Spicebush and shadbush (serviceberry) are blooming throughout Rocky River Valley. Their soft whites and pinks still provide a contrast with the emerging forest canopy overhead. reptiles Garter snakes should be seen frequently as they leave their winter dens and soak up the warm spring sunshine. Male woodcocks perform their spectacular “sky dance” in morning and evening twilight each day through mid-May in hopes of attracting a female. Watch open fields with some shrub cover and discover the spectacle for yourself. Bluebirds should be back in force this week. Is your bluebird house cleaned out and ready for this year’s visitors? Canada geese are incubating eggs at Lake Isaac in Big Creek Reservation and Sunset Pond in North Chagrin Reservation. More birds of the deep forest such as the rose-breasted grosbeak and the northern oriole should have returned from their winter haunts in tropical rainforests. wildflowers Violets, bloodroot, rue anemone and cut-leaf toothwort should be in bloom this week along most of Cleveland Metroparks nature trails. amphibians On warm, wet rainy evenings in Brecksville, North Chagrin and Mill Stream Run reservations hundreds of salamanders may trudge to their ancestral breeding ponds. Valley Parkway in Brecksville is occasionally closed to protect them as they cross the road. American toads’ long trilling calls can be heard in wet spots throughout Cleveland Metroparks as their short breeding cycle begins. wildflowers Grassy open places are carpeted with tiny four-petaled bluets, so many may bloom that they resemble a pale blue snowdrift in the spring woods. Snowy white trilliums now dot most of Cleveland Metroparks deep woodlands. Look around them for Virginia bluebell, Dutchman’s breeches and squirrel corn. Spring comes quickly and summer is only a few weeks away! The rapid changes of April give way to a slower and more stately procession of nature as May begins. Newly hatched goslings follow their parents in fuzzy yellow armadas at Cleveland Metroparks refuges. Wood thrushes and veerys return to fill Cleveland Metroparks forests with their haunting flute-like calls each evening. House wrens start to breed next week. Are your wren houses ready? Northern orioles begin to look for elms to build their hanging nests. Woodchucks seem to be everywhere along parkways and all purpose trail edges, already stuffing themselves with tender young grasses. Young woodchucks will venture forth with their mothers next month. Tall white flowers of Ohio buckeye stand in sharp contrast to the new green leaves in many places along the parkways. the wildflowers, and to you! May apple flowers should be blooming under their umbrella-like leaves by this weekend. Apple trees and wild lilacs are now in bloom and mark locations of old farmsteads long abandoned in the Rocky River Valley. amphibians Green frogs call at mid-day. Their banjo-like “gunk-gunk” calls are easy to tell from the “jug-o-rum” calls of the look-alike bullfrog. birds Hummingbirds, rose-breasted grosbeaks, nighthawks and chimney swifts should all be arriving this week or next. The peak of warbler migration is likely to occur this week. Bird walks in the forests and fields of Cleveland Metroparks are likely to turn up more birds than you ever knew existed! Many will soon be gone as they continue migration, while others “disappear” in the newly unfolding leaves of the treetops. birds Many birds are in courtship and some have begun nest building and incubating eggs. Get up early this weekend and listen to the early morning chorus in Cleveland Metroparks forests. Bluebird houses are sometimes appropriated by tree swallows, house wrens or chickadees. Though they’re not bluebirds, each species is a beautiful addition to the world. shrubs Flowering dogwood is blooming. A drive down Valley Parkway or Hawthorn Parkway is a breathtaking sight in the early morning sun. Daisy fleabane, first of the summer daisies, may begin to open its white blossoms this week. It was rumored to be used as an insect repellent when crushed or burned. May affirms the promises of spring with rebirth of wildflowers, the arrival of migrating birds, and the greening of forest canopies. Be a part of the rebirth, join a naturalist-led group or discover May on your own on the trails of Cleveland Metroparks. Summer begins this month. In northeastern Ohio, hot muggy days are replaced by cool fronts moving through almost weekly. Adult chickadees and tufted titmice grow scarce at bird feeders as they busily hatch and fledge their young. Fledgling chickadees begin to appear at bird feeders with their tired parents. June evenings bring the flute-like calls of wood thrushes and veerys as twilight settles on the land. Summer flowers begin to dot the open meadows of Cleveland Metroparks with oranges and yellows of hawkweed and yellows of cinquefoil. the weather is perfect for long walks to discover the fullness of summer. wildflowers By tradition, St. John’s Wort first blooms on June 21 to ward away evil spirits on mid-summer’s night eve. Wild strawberries ripen in this third week of the “strawberry moon.” Watch open fields and roadsides for the first of the pale blue flowers of chicory, some times called blue sailors. Carp begin to thrash along shorelines of Lake Isaac and the lower reaches of the Rocky River as they spawn and lay eggs in warm shallow water. Nighthawks (not true hawks but relatives of whippoorwills) grace the evening skies throughout the region as they hunt for their insect prey. Listen for the “bz-z-z-t” made by their wings as they power-dive for food. Common milkweed unfolds fragrant purple flowers beginning this week and continuing through July. The flowers turn into green dill-pickle-sized pods and are a prized “wild edible” in some parts of the country. Queen Anne’s lace begins to bloom. Young woodchucks emerge to learn the ways of the woodchuck world with their mothers. Yellow and orange spotted jewelweed is blooming on moist sites throughout Cleveland Metroparks. Later in summer, their “exploding” seed pods delight hikers brave enough to touch! wildflowers Yellow iris adds a touch of bright color to the green of marsh edges. Cow parsnip as tall as a person appears with umbrella-shaped white blossoms along stream banks and marsh edges. Snapping turtles may travel great distances from their native waters to lay eggs in warm sandy hillsides. Snow in June? No, just uncountable millions of seeds of the cottonwood tree, drifting about in the summer breeze. June was called the month of the “strawberry moon” by Native Americans. Near my home the woodchucks and I celebrate the month of strawberries together as I grow the berries and they eat them. My neighbors say that I should fence the garden and increase my yields, but for me the land yields many kinds of harvests, and the chance to watch young woodchucks frolic in the lawn is well worth the price of berries lost. As Canada thistles begin to go to seed, goldfinches gather the thistledown for nesting material . Early goldenrod, first of many goldenrods to bloom, becomes a harbinger of autumn as it adds touches of bright yellow to shady open places along parkways. The tall lavender blossoms of Joe-Pye weed may stand six feet tall in low wet places like Ohio and Erie Canal Reservation’s Towpath Trail, Big Creek Reservation, Mill Stream Run Reservation and along Brecksville’s Riverview Road. Canada lily and other lilies begin to bloom along Cleveland Metroparks roadsides this week. return.The warmth of the summer you dreamed about in January is finally here. shrubs Crab apples become ripe this week, much to the delight of Cleveland Metroparks deer! Buckwheat begins to bloom. Later in the fall, this wildflower’s seeds become an important part of the diet of migrating waterfowl. It is planted in many wet places by Cleveland Metroparks wildlife management staff. Mallards and wood ducks begin to change color as they go into their summer “eclipse” plumage. This is an especially wary time for them, as they are unable to fly for several weeks. Canada geese become flightless at this time too. wildflowers Queen Anne’s lace, yarrow, milkweed, ox-eye daisy, butter-and-eggs, evening primrose and enchanter’s nightshade should all be in full bloom by now. Teasel heads, looking like tall purple burns, are beginning to bloom along roadsides and in sunny open meadows. As the days grow shorter, blackbirds begin to flock together to prepare for the long journey south. Surprisingly, the young of some species, who have never migrated before, often leave before the adults. Young house wrens should have fledged by this week. The brilliant reds of cardinal flowers contrast with the golds and greens of cattails and sedges in wet meadows and woods this week. White boneset flowers and the rich purple of ironweed brighten marsh edges. insects Katydids and cicadas should be in full chorus by the end of the week. trees Tulip trees are turning orange, black tupelo is turning crimson and sassafras is turning orange. Can autumn be far away? denly, yet even in July we are given hints of yet another season to unfold in Cleveland Metroparks. Immature hummingbirds begin to appear at Cleveland Metroparks feeders as the young finally leave their thimblesized nests.. The first black ducks reappear at Lake Isaac and Sunset Pond. Some may stay for the winter but most pause for a few days then move on southward. wildflowers Wingstem, a seven-foot tall yellow flower, begins to bloom in low wet places throughout Cleveland Metroparks. When it has “set seed,” the seeds contain a two-pronged spear. The seeds latch onto an animal host and travel far away from the parent plant. any of the Park District’s many meadows brings a wealth of new beauty each week for those who search. New England aster, perhaps the most attractive of the fall asters, begins to bloom this week and continues through September, its purple flowers with bright yellow centers set it apart from all others. Evening primrose unfolds its pale yellow petals at sunset to be pollinated by night flying insects. Giant dandelions? A closer look reveals that this flower is actually a sow thistle, a similar yellow flower, whose stems and blossoms may reach two feet in height. Blue and green-winged teal ducks reappear at Baldwin Lake and Lake Isaac as their fall migration southward continues. Nighthawks and chimney swifts form “staging” flocks to prepare for their autumn migration. By Labor Day, most will be gone from the skies of Cleveland. Migrating warblers this week include Cape May, Tennessee, magnolia and blackburnian. Mountain mint, a species of wildflower with a green flower head and “dusted white” leaves, blooms in many places in Mill Stream Run, Rocky River and Hinckley reservations. This mint is considered rare throughout most of Ohio, yet blooms commonly in certain locations here. Migrating shorebirds at Baldwin Lake’s mud flats may include Caspian terns, dowitchers, semipalmated and pectoral sand-pipers and lesser yellowlegs. wildflowers Bottle gentian, an extremely rare and protected plant, begins to bloom at secret places near Lake Isaac and in Hinckley Reservation. Poison ivy and deadly nightshade set fruit this week. Chickadees, not affected by the oils, eagerly search for the white poison ivy berries as they ripen. Labor Day marks the traditional migration of the nighthawks, a common bird throughout our suburban area. This whippoorwill-like bird zooms through the summer night skies hunting for insects and creating a loud “b-u-z-z-t” sound as it dives. Look for its long narrow wings with white wing bars in flight. Hummingbirds may still be flitting around your flower garden if the days have not grown too cold, but most will be gone by the end of the month. Their migration may include a non-stop trip of over 500 miles across the Gulf of Mexico! Shortly behind the nighthawk migration the chimney swifts also leave. These small swallow-like birds gather in wheeling flocks of a hundred or more around their summertime nesting sites in dormant chimneys. A spectacular migration at Baldwin Lake in Rocky River Reservation presents rare and unusual shorebirds using the exposed mud flats as a feeding area. Among September stop- overs, look for semipalmated plovers, greater and lesser yellowlegs, great egrets and hundreds of killdeers. Small sandpipers, called “peeps,” are difficult to identify, but fun to watch as they probe the soft mud in search of small invertebrates. Spotted fawns appear more frequently in Cleveland Metroparks meadows and open areas at dusk. Their watchful mothers are never far behind. Flocks of robins increase their numbers daily as they prepare for migration. Fall-ripened crab apples are a favorite high-energy food. wildflowers New England aster, perhaps the most beautiful of all fall asters, begins to bloom this week. The bright yellow center is surrounded by deep purple petals, making a lovely contrast of colors on the fall landscape. Ironweed’s bright indigo flowers top its stems at heights of five feet or more in Cleveland Metroparks meadows. Look for it among the bright yellows of goldenrods blooming nearby. trees and shrubs The first blush of autumn colors are now found on sumacs, sassafras, red and sugar maples, tulip trees, ashes and dogwoods. Dark-eyed juncos may appear at feeders beginning this week. Sometimes called “snowbirds,” legend says that they appear just before the first snow of winter and leave after the last snow of spring. Previous years’ observations show that their timing is considerably off, fortunately. Although most warblers are in their confusing fall colors, watch for blackburnian, hooded, Tennessee, Cape May and magnolia warblers in and around Cleveland Metroparks forests. Grackles accumulate in flocks numbering in the thousands as they prepare for migration. They may be joined by a few cowbirds and red-winged blackbirds as well. Black ducks and green-winged teal return from northern haunts this week. Watch Cleveland Metroparks rivers and ponds for them. The woods grow silent as most non-resident songbirds leave for warmer climates. Cardinals and robins still serenade the dawn. wildflowers Cardinal flowers reach their peak of blooming this week. The vibrant red flowers dot many Cleveland Metroparks marshes and river edges. A stroll through Cleveland Metroparks meadows reveals the beauties of gray goldenrod, gentians, great lobelia and turtlehead. trees Ohio buckeye nuts are ripe! Can you find them before the squirrels do? Look for the polished-looking “buck’s eye” beneath the tough green husk. A good crop of hickory nuts and other “mast” may take the squirrels away from your birdfeeders starting this week. To your delight (or dismay) they will soon return! White-throated sparrows begin to appear this week on their annual migration from Canada through Cleveland to warmer climates. Listen to their half-hearted “old Sam PeabodyPeabody-Peabody” calls. The month closes with hints of the colors of autumn splashed about the landscape. Drive through Cleveland Metroparks and see the reds and yellows of maples, golds of ashes and sassafras, and bright crimson of tupelo. Another month remains before peak color arrives. Metroparks. Autumn, picking up momentum since August, suddenly surrenders to the first inklings of winter. Vibrant colors burst upon the landscape for a few days and then are gone. One morning this month you are likely to awaken to find the earth covered with a crisp white sheet of frost, marking the end of the biological year for many insects and some plants too. Chickadees at feeders now wear sharp new winter feather coats. The first of the wintering black ducks are now at Lake Isaac in Big Creek Reservation. Other earlier arrivals have passed on to the south, but these birds will stay for most of the winter in small, reclusive flocks. Ducks appearing on Cleveland Metroparks ponds with long, pointed bills are mergansers, sometimes called “fish ducks.” They may gather off the Lake Erie shoreline in rafts numbering in the thousands. The fall migration continues with yellow-rumped warblers becoming common in the Rocky River Valley. The first of the golden-crowned kinglets, residents of Canada’s boreal forests, also begin to appear. mammals Woodchucks wax fat on the last of the green grasses. Some are seen feeding far into the night, preparing for their long hibernation to come. Most will disappear into their wintering forest burrows by late November. Ever wary of winter, portly skunks intently prowl open grassy fields in search of their fall diet of insect larvae. They grow rounder as the month passes and will be in winter sleep by late November. Crickets may still call on warm autumn nights before the first hard frost. New England aster and small white aster, the last of the autumn wildflowers, should be at their peak of bloom by now. They will quickly decline and leave the meadows a gentle brown haze of stems and seeds. Most asters are at their peak of blooming this week and will quickly decline after mid-month. Small and gentle DeKay’s snakes can often be found sunning themselves along Cleveland Metroparks trails this week as they prepare for a long winter hibernation. birds Wood ducks begin their migration southward in earnest. Many begin to appear this week at Lake Isaac and Sunset Pond. A few will stay the winter but most migrate farther south. Ruby-crowned kinglets follow in their golden-crowned relatives’ migration paths this week. The peak of the invasion of white-throated sparrows has begun. They kick and shuffle through the underbrush in small flocks looking for insects and seeds, making a great deal of noise for such small birds. trees The peak of fall color arrives this week, generally between the 10th and 20th of the month. Due to local variations in climate and moisture, different parts of Cleveland Metroparks may offer views of peak color at different times. Whistling (now called tundra) swans begin to appear throughout Cleveland Metroparks as winter begins in the far north. Red-bellied and downy woodpeckers return to feeders as cooler weather approaches. Deer begin their fall breeding season in the meadows of Cleveland Metroparks, which will last until January. If you see a female deer, stand quietly and watch for a buck to follow in her tracks. wildflowers Milkweed pods open and fill the air with their fluffy parachute seeds this week. By month's end, the appearance of flowers on witch-hazel announces the final act of the plant world’s play for the year. be a month of new beginnings. Familiar waterfowl return to refuges and deer, hidden by summer's foliage, are seen again. One species’ end is another’s beginning. Birds of all kinds from the Canadian northland pour into Cleveland Metroparks. Canada geese by the hundreds stop by local refuges to rest and refuel on their way south. Common songbird migrants might include tree sparrows (light breast with a single spot), fox sparrows (larger than most sparrows with a rustyred color) and juncos, sometimes called snowbirds. Perhaps some extra seeds spread under your feeder would be appreciated by these small ground-feeding visitors. Rufous-sided towhees, singing “drink-your-tea” can still be found where crabapple trees bear fruit in Cleveland Metroparks meadows. Among the rarest migrants are northern harriers or marsh hawks. Look for these long-tailed predators hunting over Cleveland Metroparks wetlands. Even migrating ducks sometimes fall prey to harriers. Metroparks refuges the spectacle for yourself. mammals Fox, gray and black squirrels are busy adding insulation to their winter tree dens before the icy blasts of winter arrive. Unfortunate is the squirrel who may have to spend the winter in his drafty leaf nest which may not provide enough insulation for his survival. Chipmunks return to bird feeders as the autumn crop of nuts has been eaten or carefully stored for the winter. November marks the peak of the white-tailed deer’s breeding season. Adult bucks polish their antlers on small trees and shrubs to tell the world that this part of Cleveland Metroparks is theirs! Does crossing parkways are often followed by one or more bucks, so take care driving this month. Dark-eyed juncos, apparently sensing the same day length as spring, begin their spring songs each morning. As the days shorten, the songs will cease. This is the week of the tundra swans. Each year since our records began in 1984, these swans have appeared in Rocky River and Chagrin River valleys. Some may stop by Lake Isaac or Baldwin Lake to rest and feed. Others are spotted feeding in the cornfields along River Road between North and South Chagrin reservations. Flocks of over 300 have been counted as they head south. The last of the autumn waterfowl appear at Cleveland Metroparks refuges. Look for hooded mergansers, buffleheads and goldeneye ducks. Shoveler ducks with their attractive bright green heads and large, scoop-shaped bills graze among the shallow water plants. Purple finches, another visitor from Canada, reappear throughout the area. Look closely at the reddish-colored house finches you have seen all summer and watch for a slightly larger bird, more purple than red, without stripes on its breast. mammals New beaver cuttings mark the last month of frenzied activity by these industrious creatures. They must set aside enough tender branches beneath the water’s surface to provide an entire winter’s food supply for a family of six or more. Hardy woodchucks still browse among the frost-laded grasses, storing up a few more days of food for their long winter hibernation. the first significant snowfall is likely Metroparks lakes will begin to freeze. bodies of water are completely iced over move on to their winter homes further south. 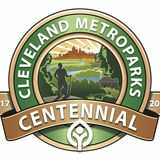 November is a month of transition in Cleveland Metroparks, still warm with autumn one day and cold and snowy the next. Each day offers its joys for your discovery as yet another season changes in your special place — Cleveland Metroparks. As the last of the migrating Canada geese move south, they may be joined by snow geese, white geese with telltale black wing tips. Each year at this time the National Audubon Society sponsors a nationwide “Christmas Count” of birds remaining on the wintering grounds. Contact a Cleveland Metroparks nature or visitor center for information on this year’s Christmas Count. Open water remains at most refuges and rivers until month’s end. Watch for late-migrating ducks such as shoveler ducks and the fish-eating red-breasted mergansers. If open water remains, ruddy ducks, common mergansers and goldeneye ducks should be passing through this week. These are generally the last of the fall migrants. Bucks’ antlers become brightly polished as the breeding season continues from October and November. Territorial battles are rare, but the rattling antlers of combatants can sometimes be heard in Mill Stream Run and Ohio &- Erie Canal reservations. When you spot one deer, look for others nearby! Cold, snowy weather and limited food resources mean the temporary disappearance of winter-sleeping mammals like the raccoon, opossum and skunk. They may awaken from time to time to feed as winter passes. Deer tracks in the winter snow tell tales of evening adventures in Rocky River, Brecksville, Hinckley, Bedford, and Ohio & Erie Canal reservations. Follow a set of tracks and try to discover what the deer were doing there, and why. If winter hasn’t been too harsh thus far, some of Hinckley Reservation’s buzzards may still be seen circling overhead at midday. As food becomes scarce, they will gradually drift to more southerly locations for the winter. Tufted titmice and chickadees should be willing to take sunflower seeds from friendly hands at Brecksville and North Chagrin nature centers from now until the end of winter. Bring a pocketful of seeds and make a new bird friend this week! Cedar waxwings begin to harvest the summer’s crop of over-ripe berries. The fermented sugars in the berries turn to alcohol and the happily inebriated little birds occasionally lose all sense of direction, propriety and flight when the alcohol-laden berries warm their tiny stomachs. trees Many oaks and beeches will hold dead leaves on their branches all winter. Spring growth sheds the golden brown mantle of old leaves, thus allowing the forest to gain two layers of nutrients each year. The rustle of leaves in the winter wind is a sharp contrast to the quiet of snowy meadows. Certain witch hazels in sheltered locations continue to bloom this week. As winter begins officially this week, watch in leafless trees in deep Cleveland Metroparks forests for barred and great horned owls. mammals Chipmunks have become scarce as they “hole up” for the winter. These farsighted little squirrels depend on acorns, seeds and nuts, carefully stored in underground caches, for their winter food. They remain active underground until March. The last of Cleveland Metroparks groundhogs should be carefully tucked away in their burrows and hibernating until February or March. December is a time of reckoning, a time to look back at the year and an exciting time to plan the new year to come. Overhead in the night sky Orion, the hunter, rises in the east, signaling the start of winter. The change in seasons creates many changes in wildlife behavior, too, as feeding strategies are altered by the cold and snow. 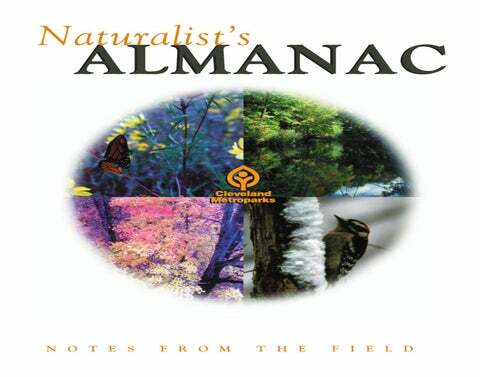 Follow the natural occurrences of each season in Cleveland Metroparks. Learn what to look for in the outdoors and when.